I had the second photoshoot of 2016 on Saturday… with the big luck of working with the sweetest creature ever: the always dark and amazing Little Miss Horror. 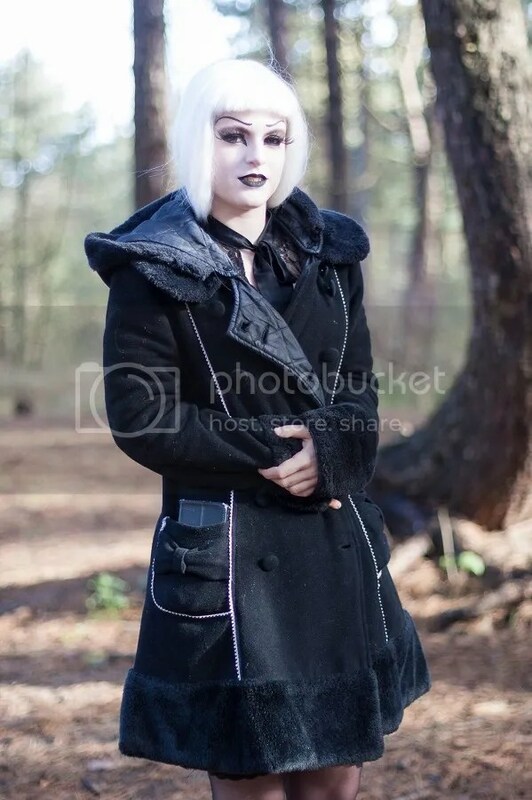 I am not going to unveil too many details for now, but I can already tell you we shot in a forest with DEADLY conditions (3 ˚C + wind) and not only Little Miss Horror showed she has superpowers not to get FROZEN but also she did an awesome work. Anyways, nothing that could not be fixed with a hot chocolate after we finished. You’ll hopefully see some stuff very soon, but in the meantime here’s a sweet test shoot of the lady before the “torture” began. Thanks a lot Little Miss Horror… this is the beginning of a terrific friendship! Tuve la segunda sesión del 2016 el Sábado… con la enorme suerte de trabajar con la criatura más dulce que se haya visto: la siempre oscura y sorprendente Little Miss Horror. No voy a desvelar muchos detalles de momento, pero ya puedo contaros que hicimos las fotos en un bosque con condiciones MORTALES (3 ˚C + viento) y no sólo Little Miss Horror demostró que tiene superpoderes para no CONGELARSE sino que hizo un trabajo magnífico. En fin, nada que no se pudiese solucionar con un chocolate caliente al terminar. Espero que pronto podáis ver algo, aunque mientras tanto, aquí os queda una foto de prueba de la dama andtes de que la “tortura” comenzase. Muchas gracias Little Miss Horror… ésto es el comienzo de una amistad terrorífica.